That trophy is really heavy! 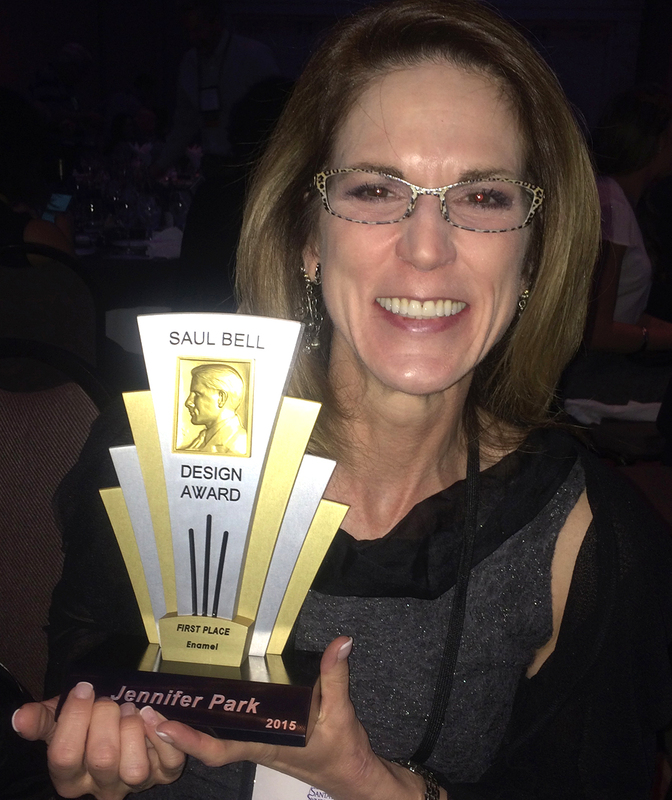 Jennifer Jordan Park won first place in the enamel category in the international jewelry and hollowware competition—the Saul Bell Design Awards. 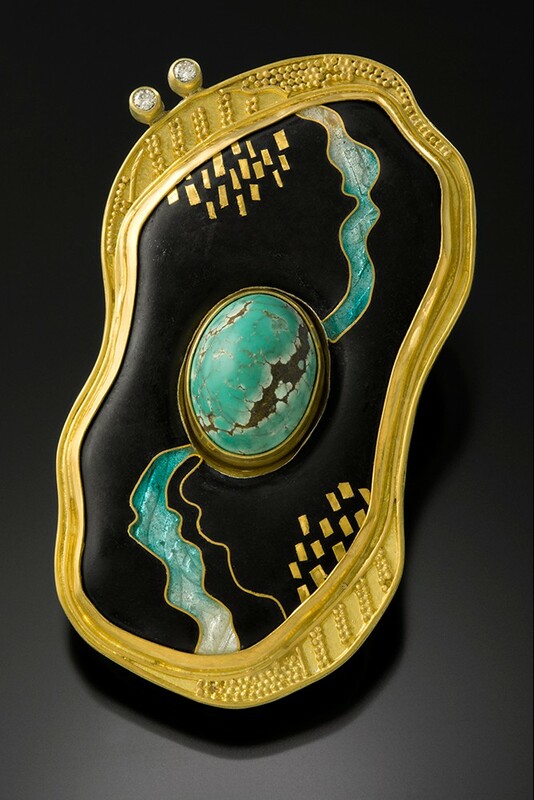 Her pin/pendant entitled “Streaming Turquoise” incorporates cloisonné enamel, 22k gold granulation, turquoise, and diamonds. At a lavish awards dinner on Sunday, May 18, Rio Grande announced the winners of the 2015 awards. The 15th annual competition challenged jewelry designers to unleash their imaginations and create innovative designs in any of six categories, including Gold/Platinum, Silver/Argentium, Metal Clay, Enamel, Hollowware, and Alternative Metals/Materials. Images of all the finalists can be found at http://www.saulbellaward.com/Winners/Year/2015. Posted in News and tagged 22k gold, cloisonne, enamel pendant, enameling, granulation, Juried Exhibitions, Saul Bell award. Bookmark the permalink.